R5 vs AP4 vs PRC – does it really just come down to dollars? Drivers wanting to step up to the next level in rallying have a number of important decisions to take into account – the first of which is what type and specification of car they are going to drive. Whereas once you had the relatively simple choice of either Group A (modified) or Group N (production), nowadays the decision has evolved to include the Australian-based Production Rally Car (PRC), the Asia-Pacific region’s AP4 category, or the FIA’s second tier class, R5. Of course, to get into any of these categories and compete at the pointy end of the state or national championship is not cheap and requires a substantial bank account, but you might be surprised to learn that your ‘healthy’ six figure budget may not go as far as you might have hoped. When the Australian Rally Championship (and others) moved on from the World Rally Cars that dominated the late nineties and early 2000s in the hands of Possum Bourne and Neal Bates, it heralded the end of the ex-factory cars that had proliferated many national championships around the world. As the years went on, the likelihood of the WRC’s fastest cars filtering through to semi-factory teams or well-heeled privateers became less and less. Fast forward to the mid 2010s and the previous second-tier WRC category, Group N, had made way for the smaller, nimbler R5 cars. Like their World Rally Car big brothers, the R5 cars also sport 1600cc turbocharged engines and four-wheel drive transmissions, but without many of the electronics and custom-made expensive parts. It’s made for a competitive class – dominated, it must be said, by Skoda – but still a class that can showcase the sport’s up-and-coming drivers in the same events that the factory WRC squads are competing in. Deep down in the Southern Hemisphere, the problem was that while many of these cars were being on-sold to privateers, and many more were being sold new by the factories, the cost of getting them Down Under was a considerable deterrent. 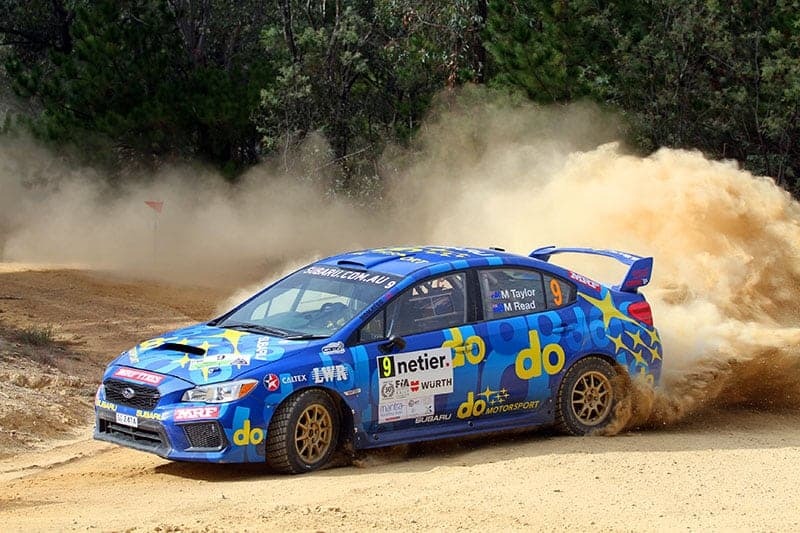 Leading Australian rally driver, Brendan Reeves, has done the sums on buying and importing an R5 car. “You can buy a new Fiesta from M-Sport in the UK for 225,000 Euros, but that’s a tarmac spec car with no sump-guard or underbody protection, and without gravel-spec suspension or brakes,” Reeves, says. So, while it will set you back upwards of $300,000 to buy a rebuilt Fiesta R5 from M-Sport, shipping the car here and being able to afford the regular maintenance program on the cars has put that option well out of range for most. “You’d also need $100,000 of spares to ensure you could run the car for the season,” Reeves adds. Because of those prohibitive costs, Australia and New Zealand set to work to create the AP4 category which, in layman’s terms, is basically R5 without FIA homologation. 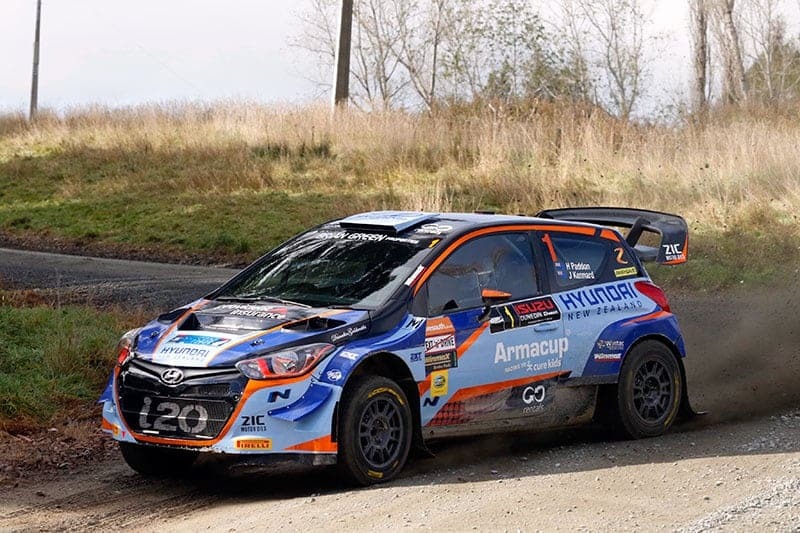 In essence, this means that manufacturers like Hyundai New Zealand, and private teams like Force Motorsport, Cusco Racing and Neal Bates Motorsport, can produce cars that are, for all intents and purposes, R5 cars, but without the added cost and hassle of having the cars homologated. Initially it was widely publicised that an AP4 car would cost around $150,000 to build, but it quickly became obvious that that was a bare bones type of build. If the car was going to be competitive, then that figure was going to escalate dramatically. In New Zealand, the lack of 1600cc engines available for AP4 cars saw the rules extended to include cars that ran 1800cc, or even 2-litre engines – hence the AP4+ tag. This is how Hayden Paddon’s Hyundai i20 initially appeared, and so too Andrew Hawkeswood’s Force Motorsport Mazda 2. All AP4 cars in New Zealand must run 1600cc engines in the future, but the expansion in the engine ruling quickly enabled more teams to run AP4 cars, and from a range of different manufacturers. Hyundai, Suzuki, Mazda, Holden, Toyota, Peugeot, Ford and Mini have all had cars bearing the AP4 moniker, albeit not necessarily with factory backing. 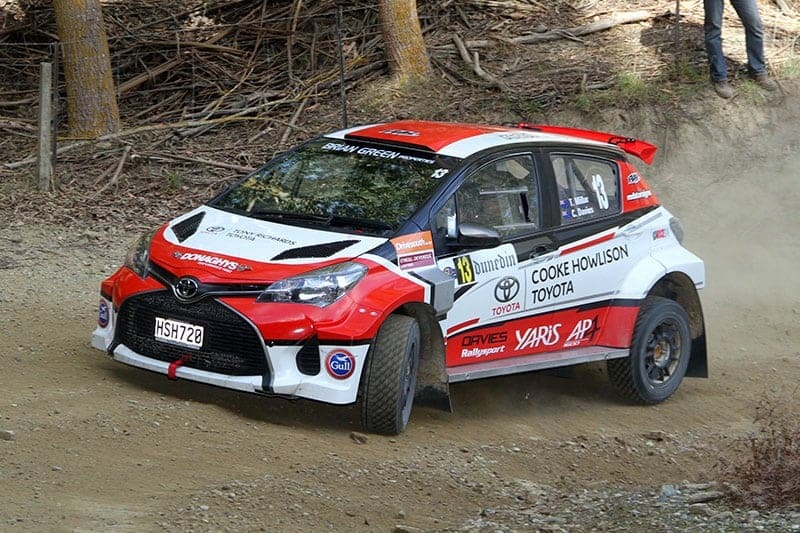 The emergence of so many of the new breed of cars has been tremendous for rallying on both sides of the Tasman Sea, but that original figure of $150,000 has well since been blown out of the water. 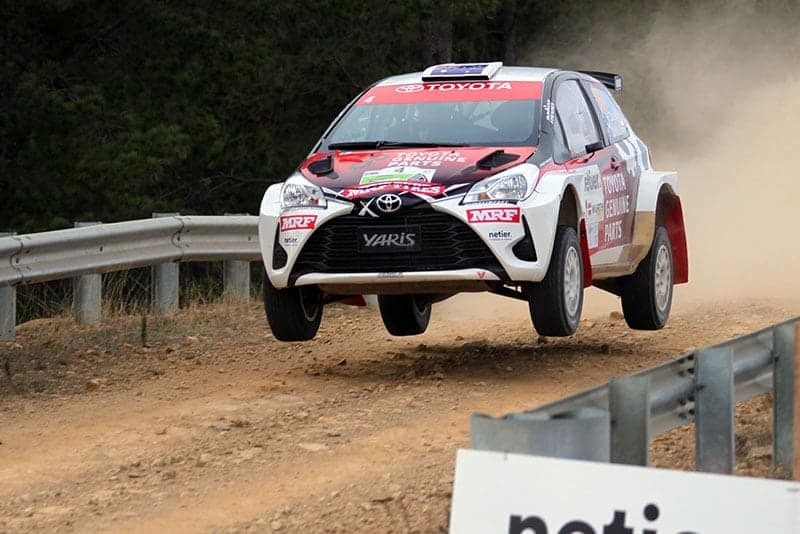 New Zealander, Carl Davies, recently put his Toyota Yaris AP4 on the market for the princely sum of NZ$220,000, but for that money you get one heck of a car. Built by Force Motorsport and PF Automotive, it’s got a Sadev 6-speed sequential gearbox, Sadev diff and unlocked, AIMS dash, Alcon brakes, Hayden Paddon Extreme Suspension and all the good bits. Despite having all the good gear, however, the car is yet to prove itself, and has been unreliable in some of the events it has contested since its debut early in 2017. But is 220k a fair price for the car, or is it an unrealistic figure that will see the car adorning the ‘for sale’ pages for some time to come? Not if you ask the reigning New Zealand Rally Champion, Andrew Hawkeswood, and the owner of Force Motorsport, who built the car. “Our price for a brand-new Mazda is under $240,000, but we need numbers of cars to get the price down,” Hawkeswood told RallySport Magazine. “It’s the one-off builds that get expensive. I have heard of several of the cars costing more than $300,000. “One of the main components is labour – about 1300 hours in each car – so if you are paying $100 an hour, it gets up there,” he said. Making AP4 cars competitive against the R5 category machines is not an easy task, and building and developing a car that can match times with a factory-built car is tremendously difficult. “There is no doubt that an R5 will be 100% sorted, and for some people it will be a better option than AP4. And so they should be sorted,” Hawkeswood says. “I have a friend who works for Volkswagen, and they started working on an R5 Polo immediately after the WRC programme was canned. Compare that to Force Motorsport’s ‘testing and development’ phase on their Mazda 2. “Our first test with the new Mazda was to back it out of the workshop, sit it on the rev limiter and sidestep the clutch 10 times to see what breaks. Thankfully nothing did! “We built the first car in nine months with four people, then two more different brands in four months, so there was always going to be teething problems. “One of the small problems we have is that we don’t sell many parts, as most of the components don’t wear out unless you hit something hard! IT MUST BE PRC THEN …. So, if those numbers have put you off, it seems your only chance of matching it with the big boys is building a PRC car – say a Subaru WRX or Mitsubishi Evo X – and using your superior skill and bravado to make up for the PRC car’s often heavier and less nimble package. 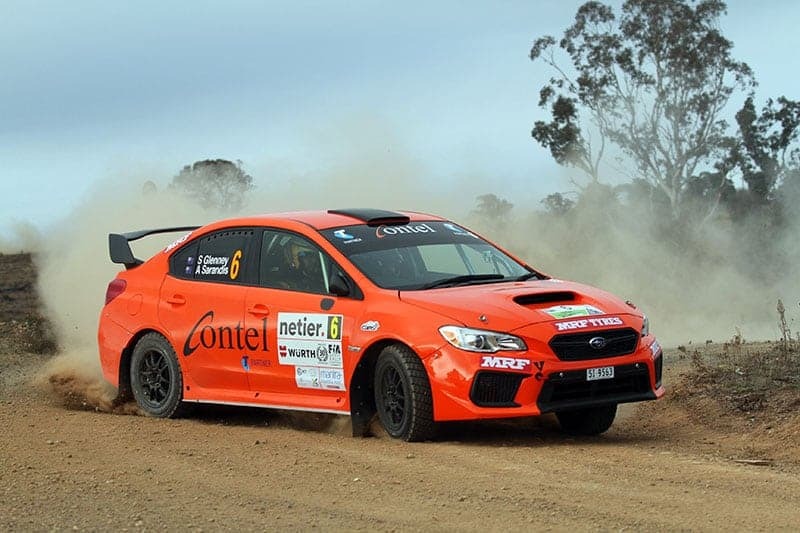 It might come as a shock to you, but Maximum Motorsport’s Dean Herridge says that a brand-new, from-the-ground-up build on a Spec C Subaru will set you back ……. about $200,000. “That’s a brand new car with all the good bits and the best of everything,” Herridge says. But as Molly Taylor and Steve Glenney are finding this year, not even that is enough. “From a build point of view, the running costs, and the availability of parts, a Subaru makes a lot of sense,” Herridge says. A front-running ARC Subaru recently sold for just shy of $100,000, less than half of the currently advertised Yaris AP4. However, in an ARC field that is getting faster and more diverse by the event, it’s probably still only buying you a car that finishes on the podium when luck falls your way. “The AP4 vs R5 question is an interesting one,” Herridge adds. “For my money, if I didn’t have any tie ups with a manufacturer, I’d still go for the R5 if I had to make the choice, even if it’s initially going to cost around $50,000 more for the purchase price, plus the cost of getting the car shipped out here. All of which may leave you sitting there scratching your head and feeling even more confused than you were before this article. Consider, though, Eli Evans’ struggles to get his AP4 Mini Cooper competitive and reliable, and the speed in which he was able to come to terms with – and win rallies – in a leased Skoda Fabia R5. On the flip side, Harry Bates, Hayden Paddon and Andrew Hawkeswood are showing us all what can be achieved with a healthy budget, good engineers and plenty of Kiwi and Aussie ingenuity. It’s still hard to look past a ‘turn key’ package like the Fabia R5, but on the other hand, there’s something pretty cool about setting the world on fire in a locally produced AP4 car that is capable of matching – and hopefully beating – the best that Europe can offer. Want more stories like this? Subscribe to RallySport Mag for more exclusive content.